It has been almost exactly one month since I posted anything on my website. Rest assured, I have been busy! 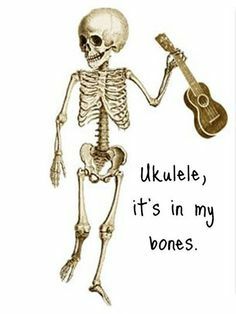 I have been editing and “tweaking” all of my posted Uke songs, and compiling them into one big PDF document. I ended up with 29 songs. The first thing that you should know is that the few that were not included were either from my main club’s songbook that I contributed to, ie. those particular songs were my arrangements but can be found in the either of the songbooks located at Dover Uke Heads / Songs, OR the particular songs I posted about were from other internet sources/websites and links were made available to them instead. All of the documents under the Songs tab on this site have been removed and replaced with the PDF document of the entire songbook. I now plan to start over with a new batch of songs for 2015, and then at the end of the year I will group all of those into another PDF songbook. Gee, sounds like fun already! This past year was really interesting. I have 46 people following my website, and that’s cool! I’m so flattered! I did get a few complimentary comments on posts, which was good. No one asked me questions about my arrangements, so I am going to take that as a good sign that I explained things well enough! and I would really love to get even more this year! In the meantime, I want to thank all of you for following and supporting my website and I truly hope that those who downloaded my song arrangements enjoyed performing them.